Duck River Electric Membership Corporation (DREMC) answered the call for help after Hurricane Michael bashed the Florida Panhandle early Wednesday afternoon. 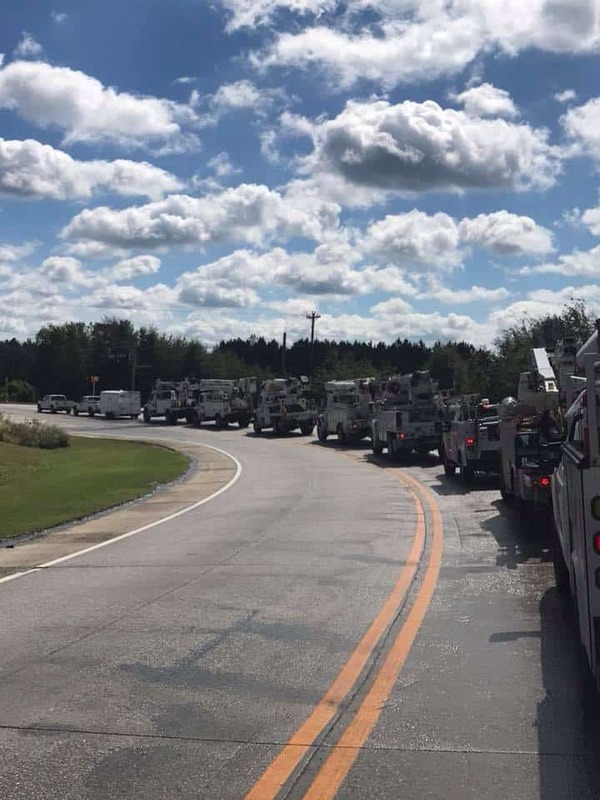 Twelve DREMC linemen and two supervisor/managers have volunteered to head to Southern Georgia and sister-electric cooperative Colquitt Electric Membership Corporation to assist with Hurricane Michael recovery efforts. The close to Category 5 strength hurricane brought what is described as catastrophic damage leaving over 900,000 without power in Florida, Alabama, Georgia and the Carolinas. Winds from the Category 4 hurricane reached 155 mph at landfall in hardest-hit Mexico Beach. Significant rainfall to the northern Gulf Coast continues Thursday as the storm pounds the northeast, dumping heavy rains on North and South Carolina that are still struggling to recover from Hurricane Florence last month. DREMC crews left at 6 a.m. on Thursday and are expected to arrive in Moultrie, Georgia, where Colquitt EMC is headquartered. At 8 a.m. on Thursday, Colquitt EMC reported 34,000 outages in a service area with 65,000 electric meters and 8,800 miles of electric line spread over seven counties. It is unclear how long DREMC crews will be in Georgia. DREMC crews are joining over 170 lineworkers from 21 electric cooperatives across the Volunteer State to help with recovery efforts. The Tennessee Electric Cooperative Association in Nashville is coordinating requests for mutual aid and makes travel and lodging arrangements for crews who respond. According to reports published by the Associated Press, based on its internal barometric pressure, Hurricane Michael was the third most powerful hurricane to hit the U.S. mainland and the fourth-strongest storm based on wind speed behind the unnamed Labor Day storm of 1935, Camille in 1969 and Andrew in 1992. According to Florida Governor Rick Scott, Hurricane Michael’s punch was the hardest to ever hit the Florida Panhandle. 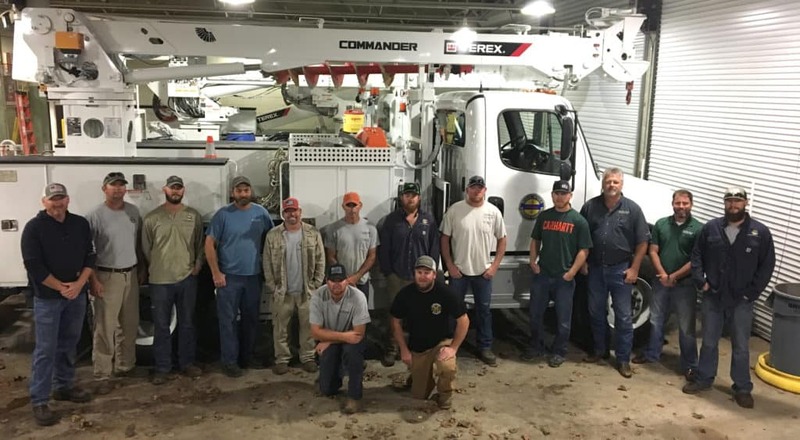 DREMC’s linemen and supervisors volunteer to help another electric cooperative in storm-ravaged Southern Georgia and left early on the morning of October 11 for the six-hour journey. DREMC’s crews head toward the hurricane-raged southeast to assist in rebuilding electric infrastructure in Georgia.